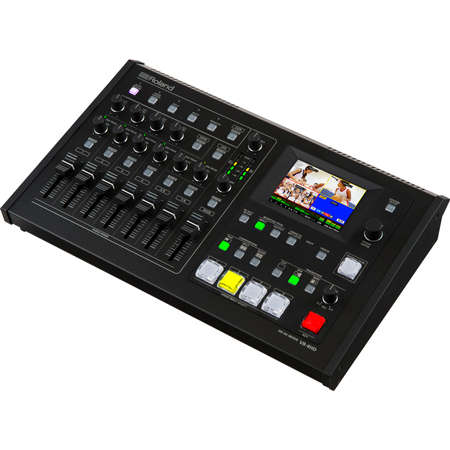 The VR-4HD features professional quality broadcast controls and switches ensuring more accurate and faster operation than interfaces based on a computer style mouse and keyboard. 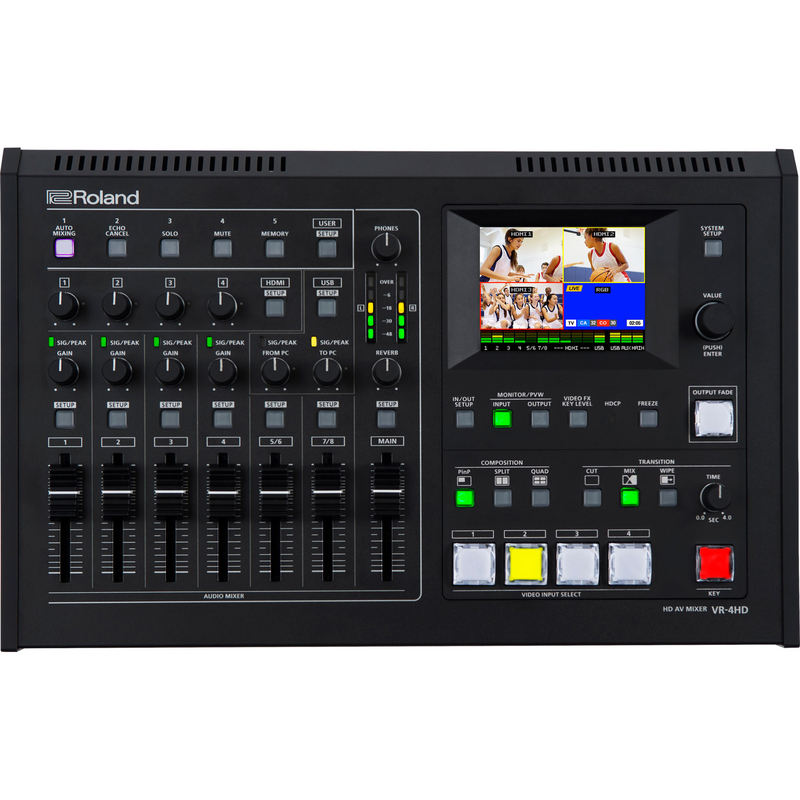 The ability to simultaneously switch video with the push of a button and adjust audio with the push of a fader is invaluable and puts all essential features at the operator's fingertips. 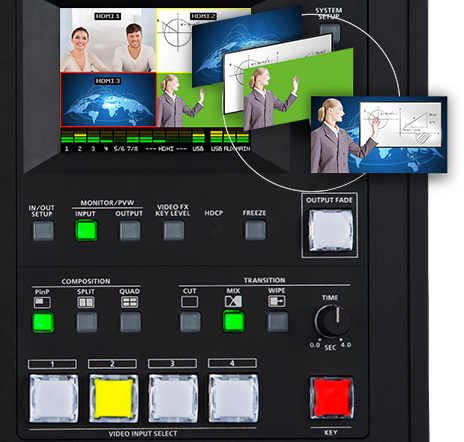 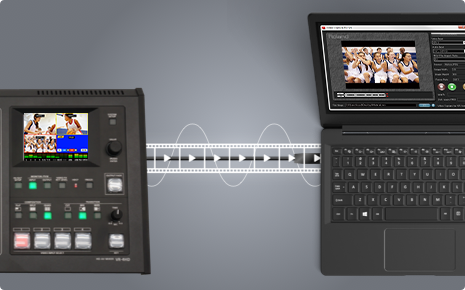 The built-in multi-view screen is also a touch screen interface for accessing set-up parameters, making it extremely easy to adjust picture-in-picture settings by dragging the inset window onto the screen. 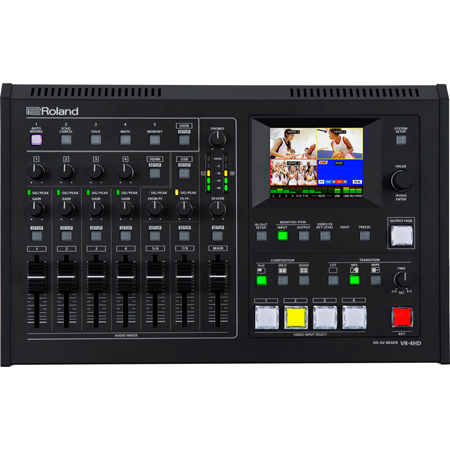 Achieving great sounding audio for video productions is easy with the VR-4HD which features Roland's award winning digital signal processing and advanced features including auto-mixing, echo cancel and delay for perfect lip-sync between audio and video. 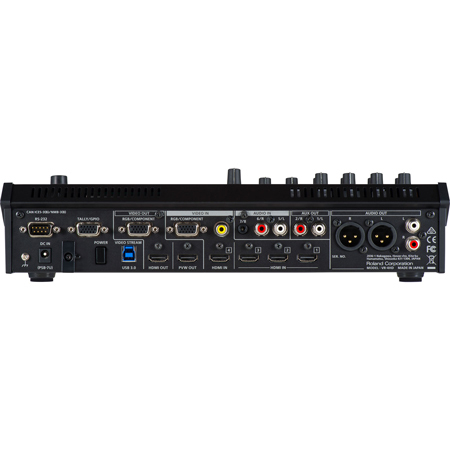 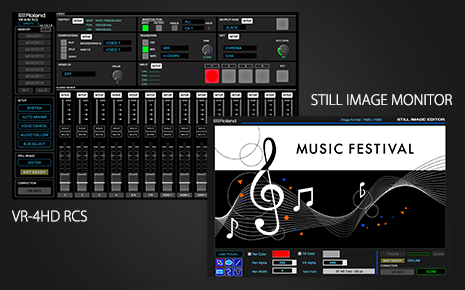 The VR-4HD's audio mixer can mix the four XLR microphone inputs, stereo RCA and 1/8 mini connector along with the audio embedded in the four HDMI inputs. 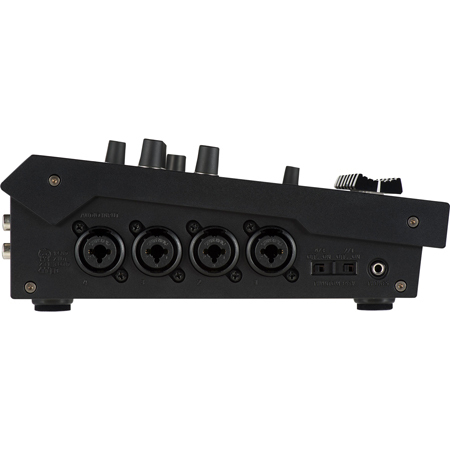 The final mix can be output via XLR, RCA and also embedded into the HDMI ouput.